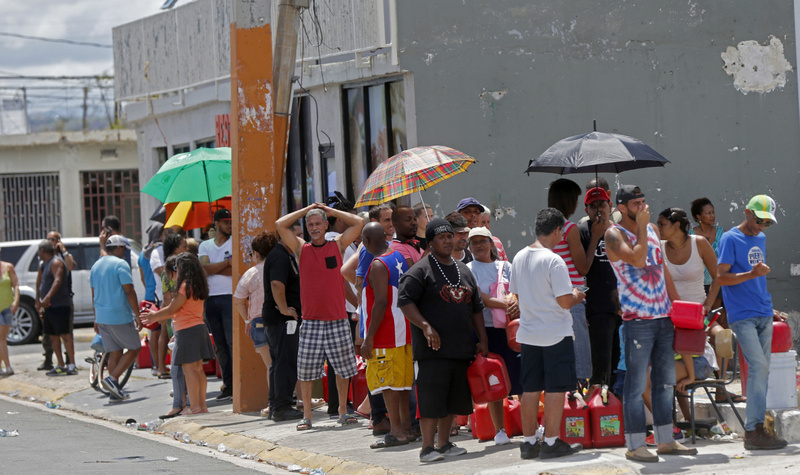 Days after the Category 4 storm slammed into Puerto Rico, many of the more than 3.4 million U.S. citizens in the territory were still without adequate food, water and fuel. Days after the Category 4 storm slammed into Puerto Rico, many of the more than 3.4 million U.S. citizens in the territory were still without adequate food, water and fuel. Flights off the island were infrequent, communications were spotty and roads were clogged with debris. Officials said electrical power may not be fully restored for more than a month.